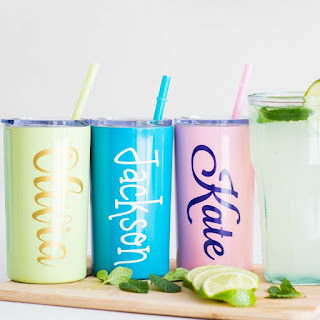 Head over and check out these Mini Version Slim Tumblers for $11.99 (Retail $24.50). We are so excited to welcome the smaller version of our Best Seller Slim Tumbler! Encourage hydration and save $ by bringing your own beverage! -This is a Premium Quality 12-ounce tumbler in new colors with lid and straw. -The Copper vacuum insulation keeps your drinks cold for 24 hours, hot for 12. -Glitter Pattern Personalization is available and a favorite!